One challenge training managers across organizations face is to train deskless workers. These are workers who are constantly on-the-go; they could be sales representatives, service technicians on the field, drivers, or warehouse workers who work in shifts and do not have access to desktops or laptops. Now this is a segment of the workforce that may not be able to spare a lot of time to complete lengthy training programs. Designing microlearning solutions can provide a solution to this challenge. Just as in a full-fledged eLearning course, microlearning design too needs careful thought and planning. What are the Characteristics of Effective Microlearning Design? When you use traditional eLearning or classroom training to train employees, it is possible to cover a number of topics and a couple of learning objectives over a period of time. But that’s not possible when you are considering microlearning design, simply because you are looking at a short training time that may probably go up to a maximum of 15 mins. What’s good about microlearning design is that you don’t have to start creating content from scratch. If the training content in PPTs used for classroom training, manuals, and PDFs are relevant to your learners’ needs, use that information in your microlearning modules. Even a short video recording of an instructor in a classroom or virtual classroom training can be converted into a microlearning module. Questions answered during classroom training can be collated to put togther as a quick reference tool for frequently asked questions that learners might have. Give your existing training a new look by splitting an hour-long training program into short bursts of learning. To summarize, you need to identify content that’s precise and helps employees achieve their learning goals. When it comes to microlearning design, less is more. Minimalism in designing microlearning is about using only the most essential elements (crisp content and visuals). Unnecessary content or visuals that do nothing to help learners achieve the learning objective are avoided. While deciding the content for your microlearning module, one question to ask is “how can this be visualized?” Instead of lengthy text, use crisp bullet points along with relevant icons. Doing so can improve the effectiveness of your microlearning module as it helps learners assimilate information quickly. Do not use complex instructions in your microlearning module. Ensure that content as well as instructions are to the point. 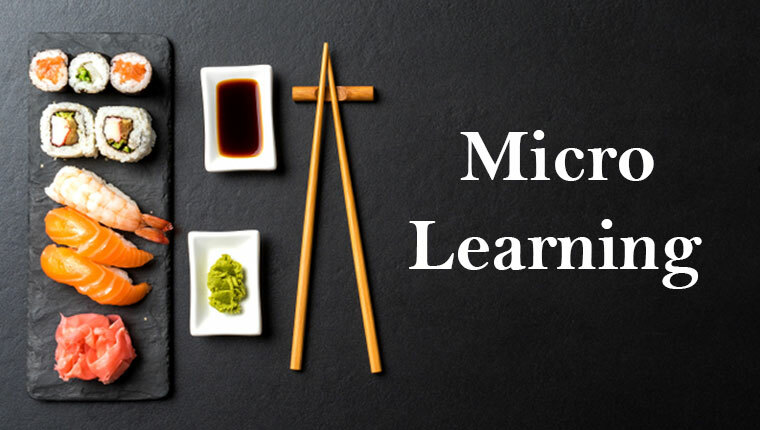 You might be already aware that microlearning is delivered in the form of short learning nuggets that can be easily consumed by learners. But microlearning design is not only about content that’s short. You also need to focus on the usefulness of content. When you choose content for your microlearning module, check how well it answers the following questions. Is the most important content to help learners complete a task included? By including this content, will learners be able to make a decision? Can the content guide learners to take actions? The best part of microlearning design is the use of a variety of formats that support the learning experience. Mix and match various microlearning formats to keep learners engaged in the learning process. Gamified content would appeal to the target audience. Scoring points by answering a quiz was catchy enough to make them want to complete the training. Learners could use their smartphones to quickly complete reinforcement of training. Here are a few examples of formats used in microlearning and how they are useful. Microlearning was intitially intended to complement formal training programs or offer performance support. But with the rise in the number of deskless workers, there’s a shift in the way training is designed and delivered. So microlearning is designed for both formal as well as informal learning experiences. Did you know that 80% of the global workforce is deskless? Consider a scenario where a majority of your workforce turns to mobile devices to complete their learning activities. It makes sense to implement microlearning design for training modules that work perfectly on mobile devices, and do not consume much of the learners’ time in completing training. Is it possible to actually learn in such a short duration? Yes, it is but there are limitations. You need to keep in mind that microlearning design cannot be applied to all training programs. If you are looking for specific information that’s required to complete a task at the workplace, microlearning design is the best option. Imagine searching for information in a training manual or even in a full-fledged eLearning course. It’s not easy to get information at your moment of need. Keep a tab on information learners are searching for on your Learning Management System (LMS). You can design your microlearning modules around these search topics so that learners are able to access relevant information right when they need it. 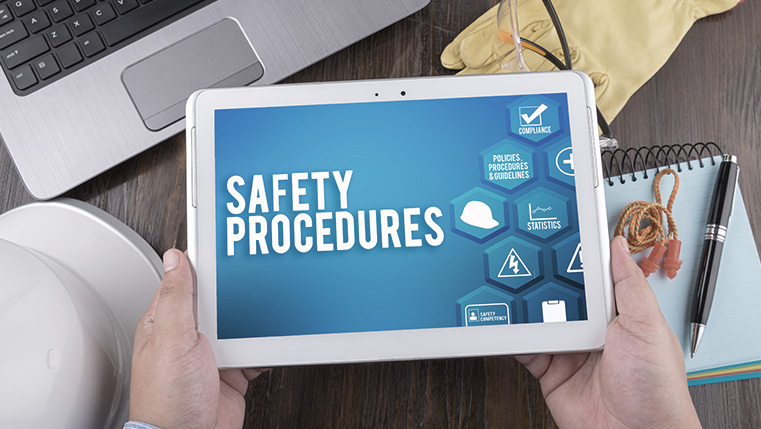 For example, if learners are looking for information on the steps to take if they notice a lapse of safety procedures at the workplace, then a quick checklist delivered as a microlearning module might come in handy. What if learners are looking at how to troubleshoot a machine? A how-to-video might be just what’s needed. These are just a few instances, there are many more where you can think of for microlearning design as the right solution to provide just-in-time learning. If microlearning isn’t already part of your training strategy, perhaps it’s time you pay some thought to designing microlearning solutions. Our eBook Microlearning in your Training Framework: A How-to-Guide can help get started on microlearning design. Microlearning Is NOT Learning – So What Is It?